With all the buzz about the role of social media in almost every industry, it shouldn’t be surprising that it has increasingly become a significant part of the college admissions process. A Zinch survey last year found that 68% of students used social media to research schools, and 38% said they used it as a research tool when deciding where to enroll. This has prompted college and universities to use social media as an informative recruitment tool, with 97% of schools using social media in their online recruitment efforts (up from 37% 10 years ago), according to the National Association for College Admissions Counseling. Considering these statistics, it’s no wonder there’s been a major development of online resources for students to connect with prospective schools, and vice versa. With social offerings like LinkedIn University Pages, students are more connected than ever and are able to make more informed decisions about where to apply. 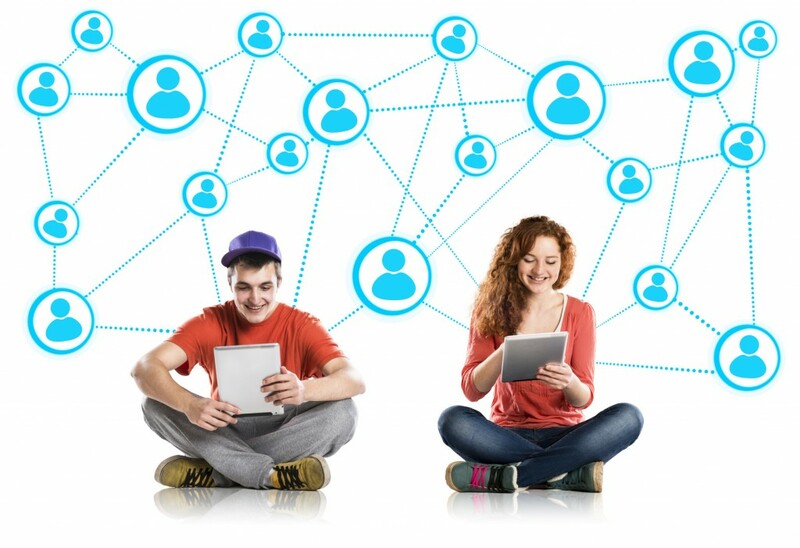 However, students will be wise to note that this connectivity goes both ways and to use social media with that in mind. Kaplan’s 2013 survey found that 29% of admissions officers surveyed have used Google to search for an applicant (up from 27% last year), and 31% visited an applicant’s Facebook or other social media profile (up from 26% in 2012). Of those, 30% reported finding something online that negatively impacted a student’s admissions chances. This has sent many students and parents into a panic, wondering what exactly constitutes negative behavior online, and where the boundaries lie in terms of what will be considered in the college admissions process. Unfortunately, some students have learned hard lessons about how their online presence affects an admissions office’s view of them. While college admissions officers may not look you up online, the increasing chance they will is reason enough to be mindful. Social media sites are considered “public,” but that doesn’t mean everyone has to see what you’re posting. Make sure social media profiles are private, or limit posts so only friends can see them. Many sites change their privacy settings often, so it’s wise to check them frequently. On LinkedIn, users under 18 have default privacy settings that prevent profiles from turning up in public searches and limit the information that users who are not connections can see. Strengthening privacy settings is a good social media practice at any age, because it protects what you post and also keeps strangers with bad intentions from accessing any personal information. Before you post a status, photo, comment, or any other content on social media, ask yourself: “Would I want my grandparents to see this?” If the answer is no, then don’t post it. Foul language or offensive and rude posts can reflect poorly on your character, and an admissions officer who sees it may decide you’re not a good fit. Being smart online doesn’t mean you have to hide from everyone who might be looking. If admissions officers are looking you up, it’s to learn more about you, and not necessarily to catch you behaving badly. Use your social profiles to highlight positive things about you and reinforce the activities and interests you present in your application. Post videos of your piano recitals, share links to your blog, and upload photos from your community service events. Turn your LinkedIn profile into a portfolio that features your service and extracurricular activities, as well as your work or internship experience. Bonus Tip: Avoid the common practice of keeping two profiles on a single social site: one for “professional” use and the other just for your friends. While you may think you’re being stealthy with a “secret” profile and a fake name, it may still contain identifying information, and you wouldn’t want someone to stumble across the “wrong” profile. Keep it simple by only using one profile for each site, and keep it clean. Once something is online, there’s a chance that anyone can view it. At IvyWise, we counsel students on how to proactively use social media to their advantage and, when necessary, how to recover from social media mistakes. Remember to stay smart online and avoid any unnecessary stress in the college application process.